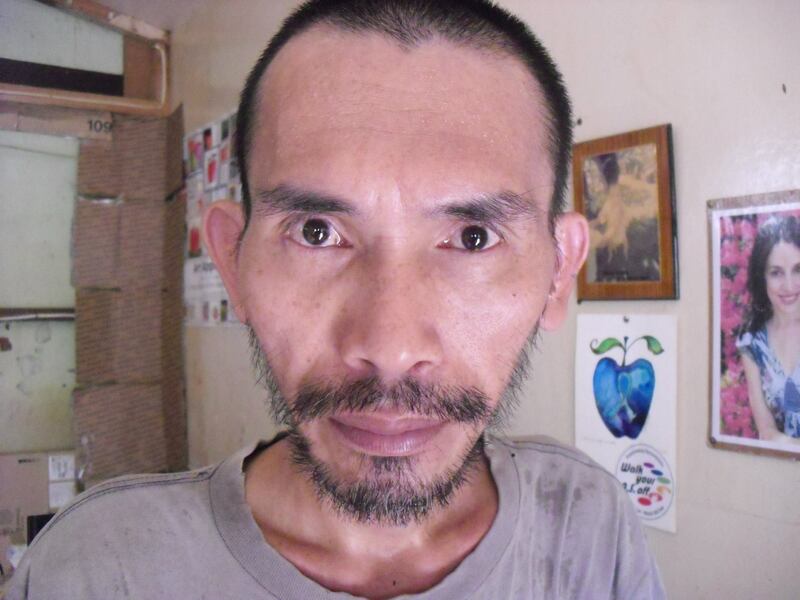 I am Ivanhoe Ardiente, 43 years old from Davao, Philippines. I’m like everyone else with Ankylosing Spondylitis who has the fusion experience and unbearable pain, that becomes our daily trouble and even awakes us during our sleep due to the pain we feel. I was diagnosed with Ankylosing Spondylitis at the age of 25. The slight stiffness and pain with my spine and hips started when I was a teenager. I also suffered with spasms in both thighs, lower legs and lower back, that is common among us, massages and sometimes light and hard punches would help ease the discomfort. After being diagnosed I began going to therapy and pain management, but due to financial issues I was only able to go for a few months. I had to stop not because I wanted to but because I had no other choice, which was devastating for me. I was in a difficult position caused by not having health insurance, available funds, or work, to help with the cost of my health needs, and my family and son had to come first, it was the only choice I could make, they needed the money more than I did. By the time I was 30 years old, my spine had total fusion, a year later my hips fused, then my jaw and then my right shoulder, at this time my left shoulder is half fused. I have no way of stopping the pain and often times find myself wishing for death. I have offered myself up to doctors for experimental surgery, I find myself willing to do anything to get relief from this pain, and quality of life. Living with less movement that is caused by my illness, Ankylosing Spondylitis that has caused my bones to fuse has put me in a place where going to work and earning a honest living is beyond possible, but remains my dream. This illness has taken my normal life, causing me to not have a job or health care. The social security has approved and provided me with $25.00 monthly, and I will need to work that out again since it was only guaranteed for a year. I find myself wishing for the only thing that would set me free and that is the ending of my life, because it is difficult for me to see the future or purpose for going on. For two decades I strive to survive together with my pain and I tried many times to reach out to many people. I really do need help and feel so helpless, going to the doctor from time to time has become very difficult, not because I don’t want the medical attention but because of the travel, pain and lack of ability to pay for the care, especially the surgeries I would need on my hips and shoulder. It is my hope to be able to have the hip replacement surgery I so desperately need. The internet and social network became an opportunity when it became available in my town. I live in the southern part of the Philippines far from the main city of Davao. I began reaching out to people and sometimes I would ask for financial help. In my desperation I would sometimes become rude in my interactions with people. This is something I truly regret and wish I could change, this world was new to me, and for the first time in a long time I seen hope. Things have changed a little bit for me, for now I truly see hope, when I met a woman who has a passion for helping others. Her name is Janelle Caulde from North Carolina, in the U.S.A. I am rediscovering myself and my long lost artistry through the kindness and the generosity of Janelle, Jennifer Dye Visscher, and Char Willingham. These lovely ladies sent me art supplies and painting has become my daily dose of pain reliever from this disease. Since meeting Janelle years ago she has never left my side and has always been there for me. Today I’m still reaching out to whoever can help me with my hip replacement surgery. Janelle who also suffers with Anlylosing Spondylitis, created Ivan’s Hope for me, where I can showcase my paintings with the hope that I can earn a honest living by selling my art work and one day be able to support my family and provide myself with the medical need and attention that I need. Please visit our face book page Ivan’s Hope and give us thumbs up. I am hoping it will make a huge difference for me and my future and surgery, by people sharing it with others, maybe finding someone who may be able to help me. 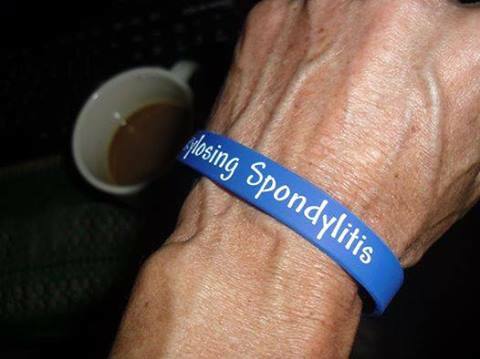 My goal is to bring awareness to the medical needs of people who suffer with Ankylosing Spondylits. My dream is that my story will be seen by someone who can help me with the surgeries and medical attention that I need to improve my quality of life so it will be one that I look forward to living. Brilliant choice for 900 a man with lots of guts. Just a funny thought of saying. I truly appreciated for on what you said! Thank you so much for sharing your story with us. Thank you for being such a positive light in our lives, I wish nothing but the best for you. Yes indeed, Ivanhoe is a source of light. Ivanhoe, I am in awe with your courage and faith to live this thing out until we see your hope fulfilled. I believe. Thank you for sharing your hope and believing! you made my bday so special dear! i love you and thank you so much! Cookie chose a perfect time. Yay! Welcome! I am happy to know you Ivanhoe! Love you Ivanhoe and will continue to try and find help for you! i know you are Sister Patti and my gladness having you is more than a pain pills! I admire your courage to fight so hard for your family and for yourself. Your artwork is very beautiful. I have had AS for a very long time (since 1978) and the pain is awful. When I read your story, I feel my pain isn’t so bad. I am still somewhat active, I do use canes to walk on the days I can walk. I am blessed with a supportive family and community. I thank you for sharing your story. Dear Ivanhoe, just read your story and taken a look at your art work and I must say your painting are very good and your story is very sad as to why you have to suffer in life like you do . AS is still bad even with all the help from our Rheumatoloagist so i don’t know how you cope . But I would like to welcome you to our happy AS group we are a great bunch of people and happy now you have joined us .. Thank you Carrie and nice to know you! Im speechless from all of this and pause for a while you are all kind to have me part of this AS FACES family. I am thankful to Ms Cookie for making this possible and creating a website for my painting! I am so happy and i hope you will like and visit the website and my FB page Ivan’s Hope! I hope you feel better kuya, your work is so beautiful. Sana hindi ka mawalan ng pagasa kasi alam ko mahirap at narasan ko din yung sakit na nararamdaman mo. So nice deed your friends did to help you cope.